Lil Wayne recently celebrated another year of life with his recent birthday festivities held at the end of September in Miami. Kicking things off at LIV, Weezy and company can be see in the footage popping bottles and having a good time as club-goers filled the venue to party alongside the Cash Money artist. Before calling it a wrap, Wayne decided to keep the positive vibes going the following day at Mansion 360. 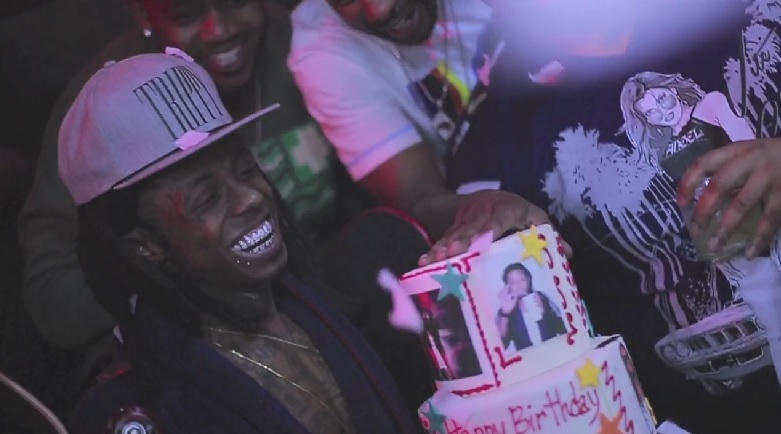 Take a look at the coverage that was compiled of Lil Wayne’s two-day birthday celebration. This entry was posted in Miscallenous, Video and tagged bday, birthday, Cash Money, hip hop, Lil Wayne, liv, mansion 360, Miami, Party, rap, YMCMB. Bookmark the permalink.